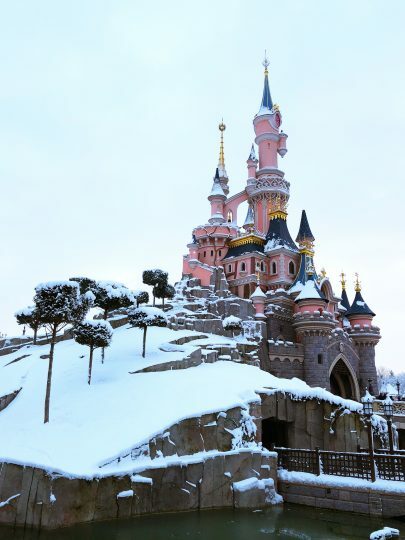 * Because Disneyland Paris is totally beautiful in the snow but also (almost) totally closed! This is the story of our three-week 10th anniversary trip to London, Disneyland Paris, real Paris and Edinburgh, told with customary excruciating detail and, of course, roughly 9.6 bazillion photos. Our trip happened to fall during Paris’ biggest snowfall in 30 years—more snow than has ever been seen in Disneyland Paris’ history—giving us a unique opportunity for a Disney photo safari! Day 1: Hello, London! Show us EVERYTHING! Day 2: La-Di-Da! Harrods + Buckingham Palace + The Ritz! Also Westminster Abbey + The Banqueting House! Day 5: Tower of London, British Museum + Wonder Woman Filming Locations! Eurostar from London + Checking in to the Disneyland Hotel! Virtual Tour of Disneyland Paris… In the Snow! Touring the Worst Disney Park in the World! Touring Wedding Venues + Last Night in the Park!